Hello, I'm Gregor and I put this site together. At first, you'll find an overview of recommended air ionizers, followed by a public poll and a general buying guide on air ionizer. Further down on this page, we do link to other well-written articles and reviews about air ionizers. At last, you'll be able to weight in your own opinion in the comments section. If you also want to vote on the best air ionizer, click here to view the poll. The idea of purifying indoor air isn’t new. Allergy sufferers know that the cleaner indoor is, the fewer symptoms they have. 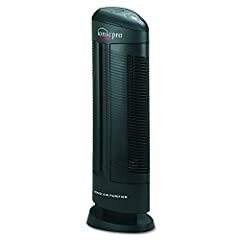 Air purifiers come in a range of styles, but most have filtration systems that are complicated to maintain. An air ionizer, however, can effectively remove pollution from the air in your home without the use of filters. If you’re plagued with sneezing, runny nose, itchy eyes and sinus congestion due to allergies or just want to breathe the cleanest indoor air possible, here is everything you need to know to choose an air ionizer that’s right for you. How important is clean indoor air? Since home is where you spend most of your time, it’s the place where most indoor allergen exposure occurs. Home is where you eat, sleep, cook, and play with furry pets. Unfortunately, even these simple activities can release particles that contribute to unhealthy air and unpleasant respiratory symptoms. All of these and more can be decreased by an air ionizer. If you recall high school chemistry, ions are molecules with an electrical charge. Allergens such as dust, pollen, smoke and dander have a positive charge. Air ionizers, taking advantage of the principal that opposites attract, flood the air with negatively charged ions that bond to allergens, making them too heavy to stay suspended in the air. Bothersome particles just fall to the floor where they can vacuumed away. How is an air ionizer different than a HEPA filter? High-efficiency Particulate Air, or HEPA filters, work by forcing air through a fine mesh or woven fabric barrier that traps harmful particles. To be certified as high-efficiency, the filter must remove 99.97 percent of particles in the air that are larger than 0.3 micrometers. Dust mite waste, for example, measures nearly five micrometers and is effectively trapped by HEPA filters. Most air ionizers use no filters or a set of simple reusable plates. They depend solely on chemistry decrease particle pollution. HEPA filters are impressive in the number of small particles they trap. In fact, HEPA technology is considered the gold standard for indoor air purification. However, their disposable filters are costly to replace and the efficacy of particle removal decreases significantly if they’re not changed exactly per the manufacturer’s recommendations. 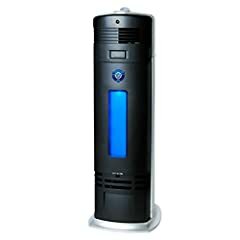 Air ionizers remove only large allergens from the air, but they’re filter-free and require very little maintenance, making them a good overall value for anyone looking for cleaner air without breaking the bank. 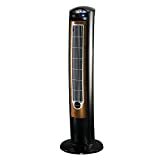 Energy-efficient air ionizers have the added benefit of working silently, making them user-friendly in any room. With superior odor-removing capability, ionizers can make kitchens, laundry spaces and areas where pet waste is stored much more pleasant. Car dealerships use portable models in trade-ins to remove smoke odors before sending them out for test drives. Ionizers stand alone as air purification devices and are typical integrated into fans to enhance their effect, but they can also be paired with HEPA filters for the ultimate in clean air. Floor models are available to treat entire rooms and tabletop or portable models can tackle smaller spaces. When choosing an ionizer, look for these important features. The most important consideration for an air ionizer is the area it will treat. This is typically reported in square feet. Since an ionizer needs to permeate a room with negative ions for maximum allergen removal, it’s critical to choose the right size. The fan should also be able to circulate air like any other fan can — independently of the ionizing feature. A model with several speeds is ideal in any space, but for large rooms, it's even more important. 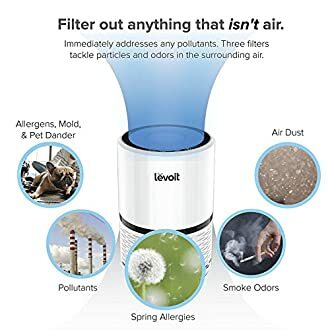 Ionizing technology lends itself well to many platforms and similarly, additional features in addition to a HEPA filter can be added to ionizers to improve the overall benefits to air quality. Ultraviolet Germicidal Irradiation, or UGI, is used world-over to control the growth of bacteria, viruses and other disease-causing microorganisms in sensitive spaces. This technology disinfects by using safe, short-wavelength ultraviolet (UV-C) light to kill or inactivate microorganisms by disrupting their DNA. UGI is proven to improve the quality of indoor air and is now a feature of many air ionizers. 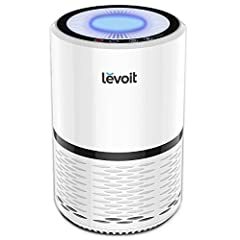 For fresh smelling air in areas where odors from volatile organic compounds like gasoline or acetone-based nail polish remover are a problem, an air ionizer with a carbon filter is a plus. Carbon filters may be disposable or permanent, but both naturally remove these potentially harmful smells. 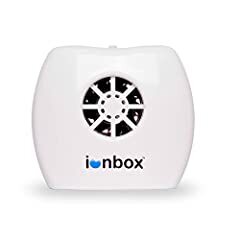 Finally, if your car smells a bit too much like old tennis shoes, portable cabin ionizers for automobiles and RVs come with an adapter that plugs into your car’s cigarette lighter. Ionizers with special convenience features are like icing on a cake. For a child’s room, some manufacturers are offering built-in night lights and for bedroom use, a model with USB ports also serves as an outlet for charging your electronic devices. 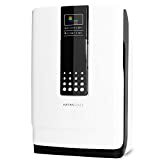 For small spaces including closets, diapering spaces, pet areas and even small offices, low-profile models that plug directly into an outlet like an air freshener save space while keeping odors at bay. Ionizers of all sizes are equipped with built-in timers, allowing customized use. After a diaper change, simply turn it one, knowing it will take care of any unpleasant business, then power down, saving you money. 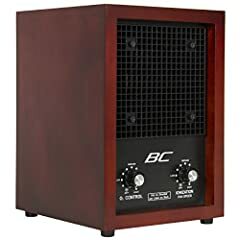 For those with severe respiratory disease including COPD and asthma, an air ionizer with a HEPA filter is the best air purification money can buy. 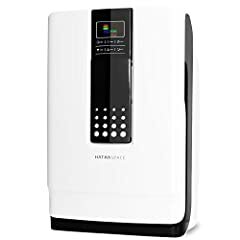 It attacks allergens on two fronts and leaves air feeling crisp and clean. Consider one for every room, but especially for bedroom in which you sleep for about a third of the day. 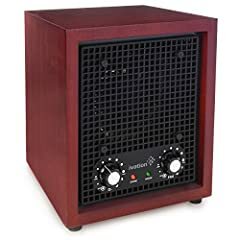 For someone with allergies that are an annoyance, but not life threatening, a simple air ionizer is plenty. You’ll have cleaner air without the fuss and expense of changing filters. Focus on putting them in the kitchen, bedroom and living area. For limited treatment of small spaces such as beside a cat box or laundry hamper, a plug-in style stationed near the offending odor will keep it from escaping the area. • Measure the room carefully before choosing an ionizer. If in doubt about which size to choose, go larger. • For models with nightlights, make sure they can be switched off. 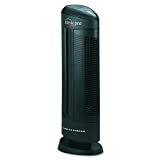 • HEPA filters vary significantly in cost. If your ionizer features HEPA filtration, check the prices of replacement filters before you buy. • Models with any disposable filters will need new ones. Buy from a company that’s been around a while to ensure they can be obtained when needed. • Using a cabin ionizer in your car may utilize your only power source. Choose a model integrated USB ports to retain other charging capability. 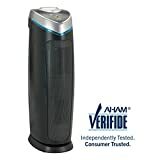 • Air ionizers produce ozone that combats odors and freshens air. While high amounts can be harmful, the low amounts produced by ionizers are considered safe. Check with your pediatrician before adding one to a baby’s room. • Ionizers work best to control allergens when combined with regular vacuuming and dusting. • If your ionizer has particle collection plates, clean them per manufacturer’s instruction. Buying an air ionizer won’t change your life, but if breathing healthy air that smells more like an oceanside cottage than a locker room at the gym sounds good, you can’t miss. New: Our editorial list of additional articles. 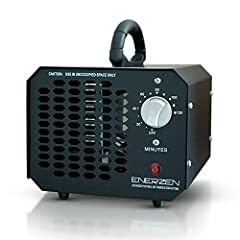 We decided to gather informartion all around the internet and present you a list of helpful, external links to interesting reads about the best air ionizers and their reviews and guides. You're not convinced by the previous writings about air ionizers? Of course you can just choose by visual impression, that's why we present you all our chosen products at a single glance. A click on any image is enough to open an external link to the best offer we could find. Finally, we want to present you our rating criteria for our air ionizer comparison, so you can better understand and comprehend our recommendations and the rating process itself. 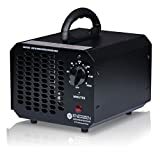 Furthermore, we still ask you to keep your eyes open for short term deals in order to make some great bargains with air ionizer in 2019. Published by G. Krambs on StrawPoll.com (last update on 2019-04-18 08:01:42). 24 of 35 readers found this article helpful.